My new product in my store at Scrap It Sassy is now uploaded and ready for you to purchase. I have made a paper pack consisting of 5 Japanese papers all photographed and cut to size by me. 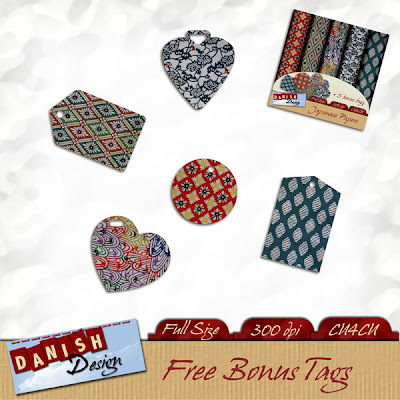 I also added 5 free tags made from the papers and they are what I want to give you today for free. 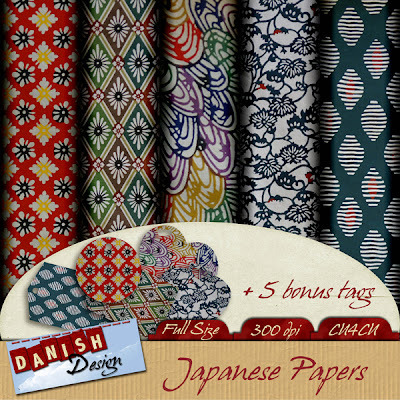 I like these japanese papers! thank you so much the tags are really pretty, as are the papers! Being a 1/4 Japanese myself, I love Japanese inspired things!